Looking for a new book to try out risk free? 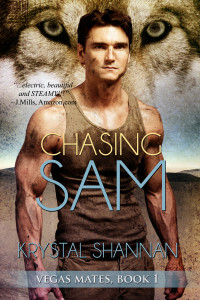 Check out the first book in my Vegas Mates series, Chasing Sam. You can currently check it out for free at all major ebook retailers. Samantha Demakis wants to finish her degree, not settle down and play house with a mate. But her birthright demands otherwise. In fact, even her wolf is rebelling against her plans. When a chance encounter reveals the man who makes her wolf howl, will she run or fight? 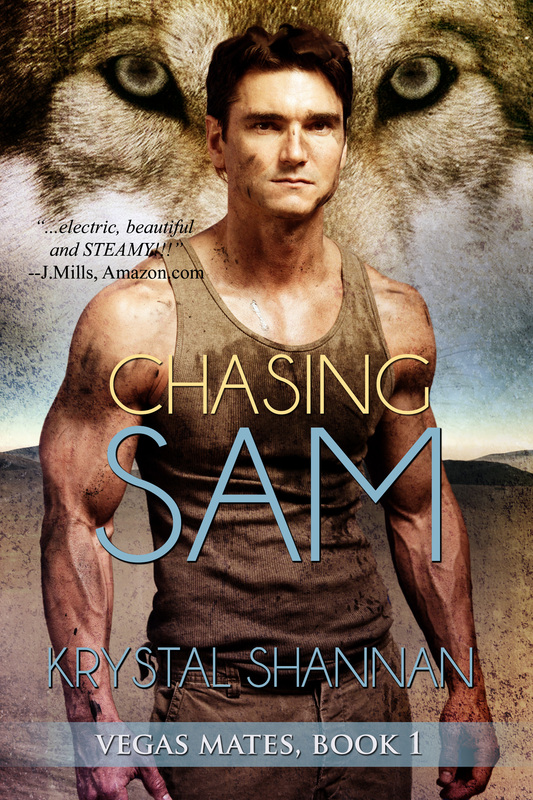 Seasoned Army vet Chase Michaels has been alone for seventy-five years. Somewhat resigned to never finding his true mate, he is shocked when his wolf reacts so strongly to a woman he runs into in the airport. Unprepared for the politics and snobbery of the noble families, Chase finds himself fighting in a different type of war–a war for the heart of a woman he knows should be his. A lot of things are chasing Sam, but will the right man catch her in the end. Or will a barbaric tradition ruin her only chance at happiness?